With the cost of doing business in China going up, up, up, here is a phrase that the rest of us will probably see more and more of, “DESIGNED BY APPLE IN CALIFORNIA. 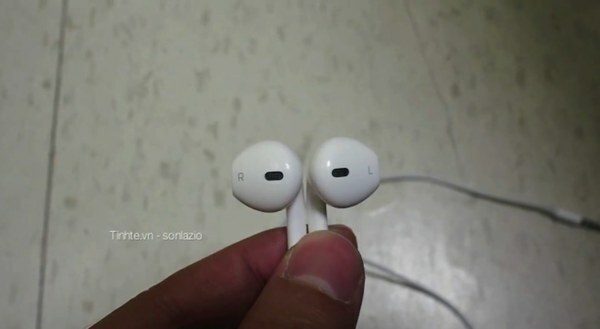 ASSEMBLED IN VIETNAM.” A website with a good rumorological track record claims to have a pair of Apple’s all-new for 2012 iPhone 5 earphones and they are funky looking. Alien technology, hello? Starting September 12 and stretching out over the ensuing weeks, Apple will introduce and ship the iPhone 5, iPad mini, 2012 iMac, 13-inch Retina MacBook Pro and 2012 iPod nano — good times ahead. However, as welcome as all of these shiny new i-things will be, no Apple product is more sadly in need of a makeover than the company’s classic white earphones (earbuds), the fundamental design of which hasn’t changed since 2006! Yeah, the mothership added a microphone and remote back in 2008, but the bits you stick in your ears are just as crappy today as their were six years ago. Happily, change is in the air. 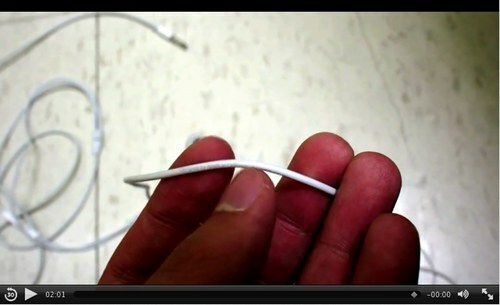 Vietnamese rumor site Tinh Te (video below), which earned famed breaking iPhone 4 news, reports that Apple will deliver iPhone 5 earphones in about two weeks and they are different, very different.